Shop Handmade UK: Sales, Sales and More Sales! I've 3 great sales to tell you about. The first sale is from Daisy Chain Jewellery, the lovely Jo is offering 10% off all jewellery until August 14th + a blog giveaway with 3 prizes up for grabs. 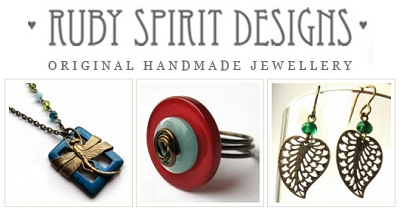 The 2nd sale is from Ruby Spirit Designs. Tracy is offering 10% off all jewellery in her Coriandr store until 31st July. If you love vintage designs start shopping now. 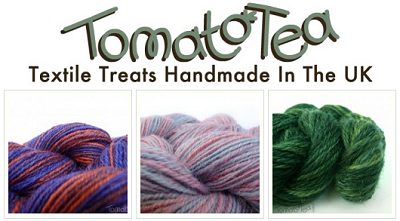 Lastly for those of you who love to knit Katrina from Tomato Tea has 10% off all yarn in her Coriandr store until 31st July. Happy Shopping! Thanks very much for the plug! Now lets see if i can grab a bargain at the other sales! We are having a sale over at the Etsy store on all ready to ship pieces. UK sizes 6-16 catered for. Links and info are provided in the blog. Sharing a handmade gift like a fruit hamper is really special for some people laid up sick in hospital.